This practice is proud to use Regenerative Medicine services through Apex Biologix. Apex Biologix, offering products under the affiliate Emcyte Corporation, has become a leader if the field of regenerative medicine. 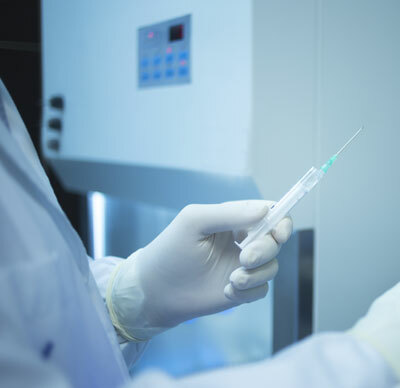 Emcyte provides the equipment and assistance for Platelet Rich Plasma (PRP) and Stem Cell therapies. PRP has been shown to be an effective tool in the healing and recovery from various tendon and ligament injuries, like tennis elbow or rotator cuff tear or chronic ankle injuries, and some evidence has been emerging that it can be helpful in pain from the spinal disc. Stem Cell therapies offer an intriguing approach to previously difficult conditions such as avascular necrosis but can be helpful in the more common arthritis and cartilage changes found in us all. It is well documented that not all PRP is the same. Patients may experience varying outcomes with PRP application. This can be attributed to the system used to prepare the PRP. To get the best results the PRP system must significantly concentrate the platelet growth factors in the treatment sample. This concentration should be 5 to 9 times the baseline value. The better the concentration the better your changes for recovery. PRP through the equipment from Emcyte offers this ideal concentration to help your recovery.